​Following Tristan Thompson's devastating ​cheating scandal, many are on the hunt to find any hints of infidelity from the other KarJenner's significant others. And the next target? 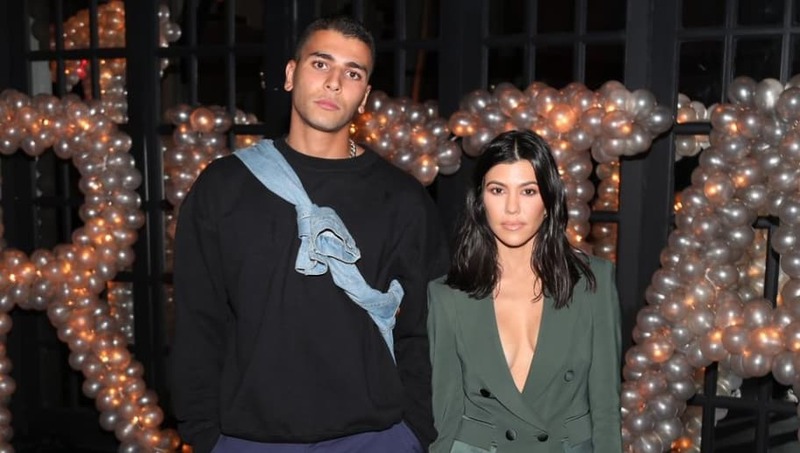 Kourtney Kardashian's boyfriend, Younes Bendjima. ​Daily Mail spotted Younes out with some friends, and posted photos of the 24-year-old model on April 11. The site reported he was out Monday night with Leonardo DiCaprio's model girlfriend, Camila Morrone. And on Tuesday, was out with "two mystery ladies." The Internet tried painting Younes in a bad light, acting as if he was being unfaithful with these women following Tristan's infidelity. But Younes was not about to let that happen. He promptly took to Instagram to shut down the rumors. He shared a screenshot of an article from Daily Mail, which had the headline: "Younes Bendjima enjoys another night out with two mystery ladies for a sushi dinner in Beverly Hills." He then wrote over the picture, "Daily Mail aka Daily bulls**t where are the 6 other mens i was with? What you guys trynna do? Nice cut tho you piece of s**t."
Talk about a perfect response. It's obvious Younes is not here for rumors, especially ones pertaining to his love Kourtney. Just because Tristan is unfaithful, doesn't mean the rest of the boys in the family's life are. We're still stanning Younes and Travis Scott!